Brand/Manufacturer: MEDICAL ACTION INDUSTRIES INC.
Medical Action Enema Products kit contain latex-free products with easy to understand directions. Convenient for administering enemas, cleansing sets place necessary supplies within easy reach. 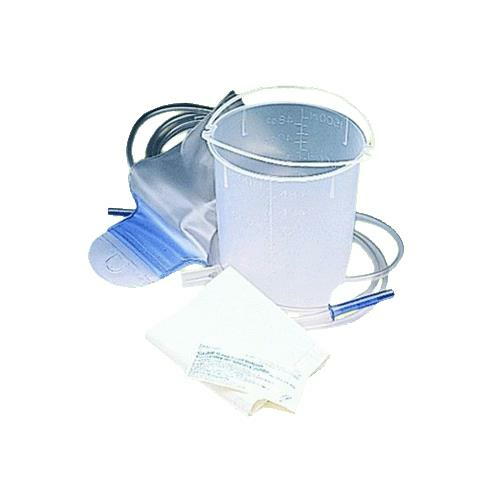 Choose from flexible bag or rigid bucket for enema administration. THIS IS A MEDICAL ITEM ..BUT DOES NOT STATE COMPOSITION OF BUCKET OR IF THE ATTACHMENTS TO COMPLETE THE ENERMA KIT COME WITH IT? ?